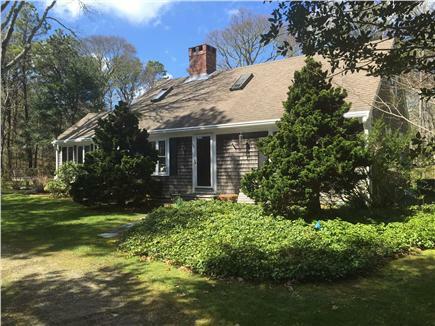 Lots of privacy with easy access to the best of Brewster in this Cape home. 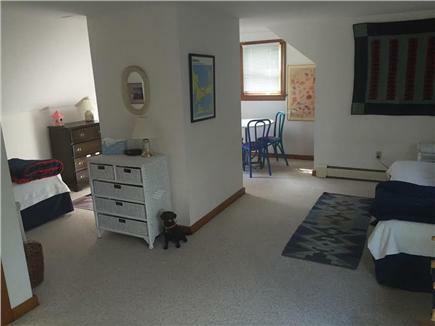 There are 2 bedrooms and 1.5 baths on the first floor, with a third bedroom, dormer and full bath on the second floor. 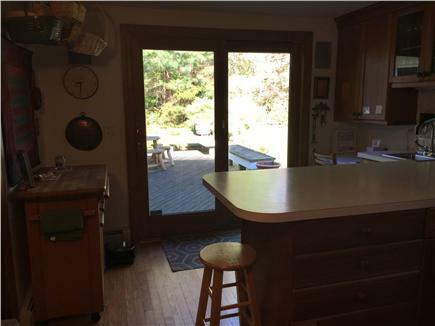 The spacious well-stocked kitchen, living room and sun room allow for space to spread out. 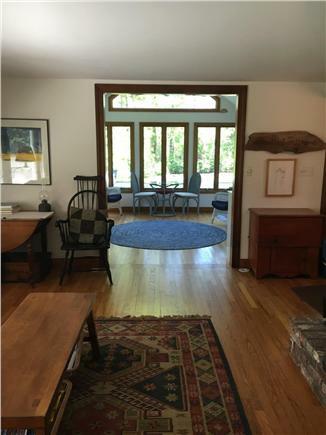 The house has heating and air-conditioning, as well as a wood-burning fireplace. 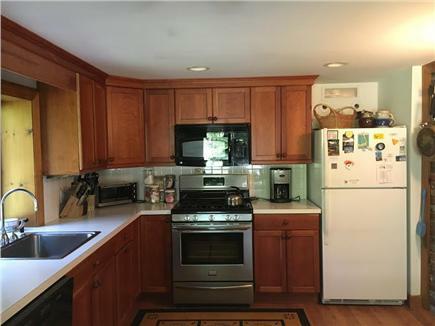 Other amenities include a dishwasher, washer/dryer, cable TV and internet (upgraded XFinity in August 2018), BBQ grill, and outdoor shower. Linens not provided; we can help arrange linen services. 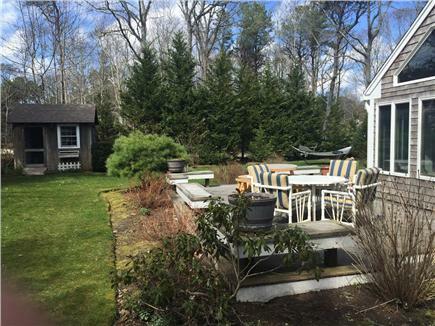 Large trees and bushes provide privacy around the spacious deck and yard that includes a lovingly-cared garden and shrubbery adding to the beauty and quiet. An ideal spot for lounging on the hammock with a book or hosting a family gathering. Guests can use the various beach toys in the shed. 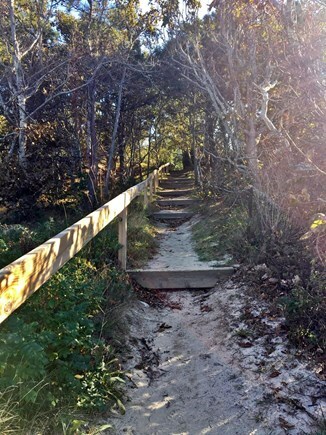 Located on the Bay side of Rt. 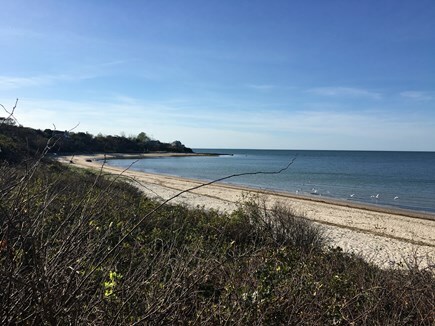 6A, the house includes access to Brewster Flats Beach, an easy 5 minute walk away. 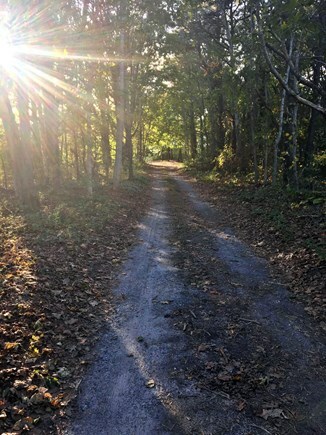 The property is also within easy walking and biking distance of some of Brewster's best restaurants and shops and the Cape Cod Rail Trail from where you can quickly explore Nickerson State Park's trails and ponds as well as many other ponds and parks on this quiet side of the Cape. 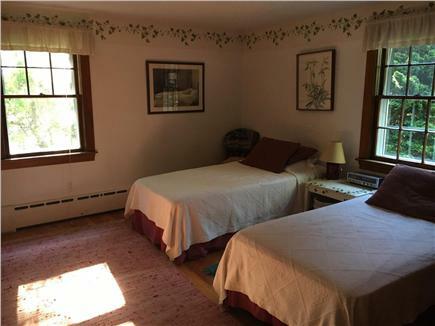 NOTE: The State of MA has instituted a lodging tax equal to local hotels, bnb's, and inns. 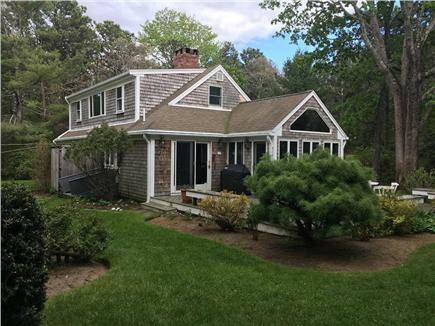 For the Town of Brewster, this is 14.45% and will be added to the rental. Additional pricing info: 10% discount for two- and three-week rentals. State and local taxes of 14.45% will apply. 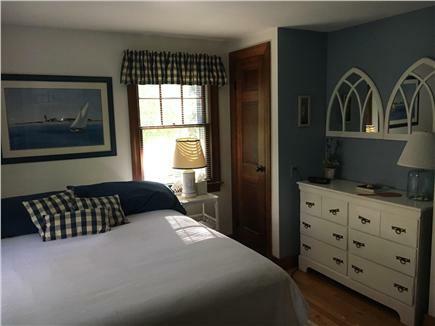 Great - Family Getaway House within walking distance of the beach! First off, Brad and Hillary were most accommodating -- thank you! 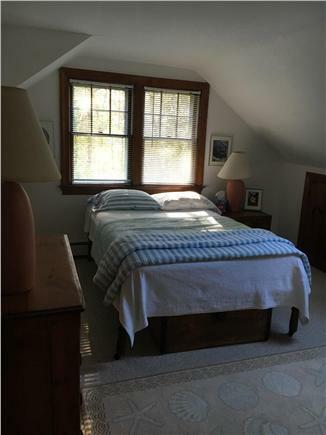 Great hidden away property in Brewster. 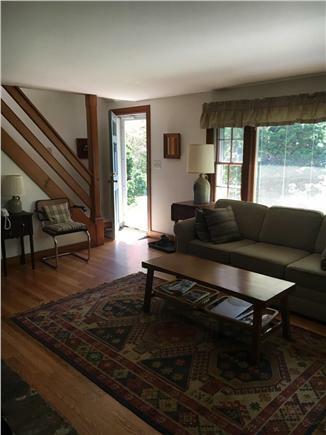 Secluded, beautifully landscaped back yard, great deck to hang out on. Everyone in the party loved the house. Amenities exceeded expectations. Linens were included!